4 Ginger Beer - Beautiful Multi Level Home, Short Walk to Palmetto Dunes Beach! 4 Ginger Beer Court is a great vacation home featuring 5 bedrooms, 4 full baths and two half baths located in prestigious Palmetto Dunes just a short walk to the beach. This contemporary home is absolutely perfect for large families. As you enter the home, the large foyer opens to a spacious living room with plenty of comfortable seating with a large flat screen TV. The open floor plan leads to a dining room that seats 8 and opens to a deck for alfresco dining. There is a table that seats 6 on this deck. The fully equipped kitchen has granite counters, stainless appliances and a breakfast bar that seats 4. The hallway by the kitchen has a laundry room and the entrance to the first floor master suite with a king bed, flat screen TV and a slider to the outdoor deck with rockers. This deck overlooks the pool area. The private bath features a double vanity, a garden tub and a separate shower. The large walk-in closet can accommodate a crib. The second level has 4 additional bedrooms, large den with ample seating, queen sleeper sofa and large flat screen TV. There is a half bath on this level just outside the den. The master suite on this level has a king bed, a flat screen TV and a slider to a large deck with rockers that overlooks the front of the house. The private bath has a garden tub and a separate shower. There is one more king bedroom on this level with a flat screen TV and a standard bathroom. The last two bedrooms have two twin beds in each one and share a bathroom. The pool has a hot tub and many chaise lounges for relaxing and enjoying the salt air. This home is a 6 minute bike ride or a short walk to the beach. You will enjoy all of the amenities Palmetto Dunes has to offer including championship golf courses, bike trails and a beautiful beach! House was the right size for our entire family. Everyone had a great time. Great house, right size, great that we decided to heat the pool. Just wish it was on the beach. 4 Ginger Beer is a fantastic home and the perfect size for the configuration of our group. Great experience overall. The house exceeded our expectations. 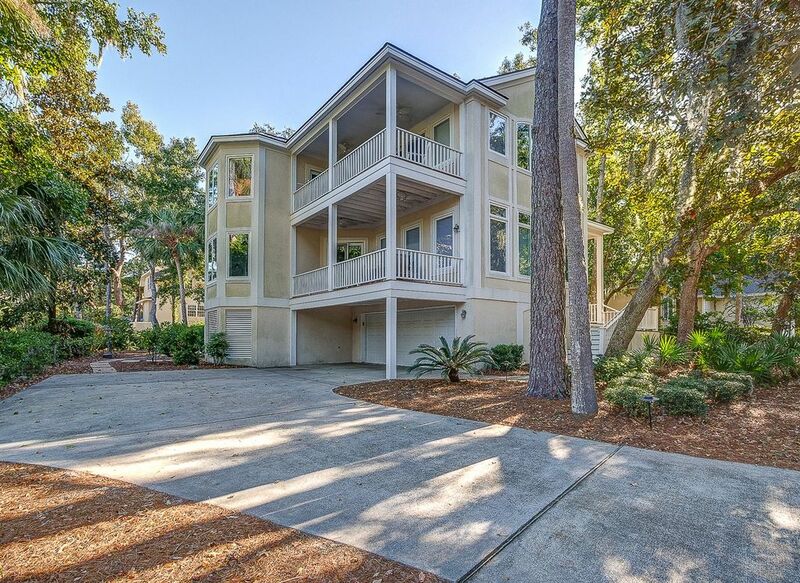 We've been coming to HHI for many years and rarely does a property appear and perform better than the pictures.